Leading into race-specific training, you need to make sure you're ready to train for the distance and challenge of an IRONMAN race. American and two-time IRONMAN World Championship winner Tim DeBoom called this preparation, "training to be able to train." The key training period lands about 12 weeks out from race day, and you need to be fit going into this period. The training you do in those 6 to 8 months leading up to that period will allow you to be able to train specifically for your IRONMAN event. Starting this far out will give you time to practice a few race simulations, make corrections on nutrition, pacing and mental skills. So what does training six months out from your race look like? 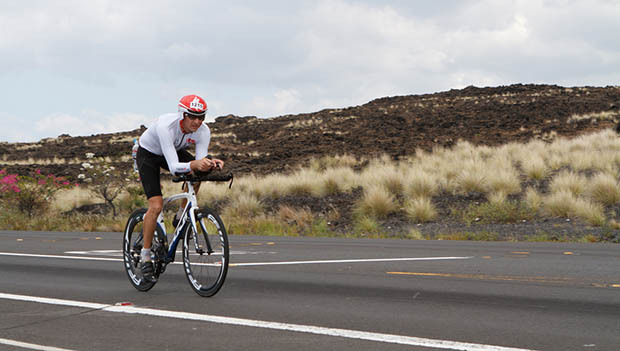 Here are my top five recommendations for what to focus on leading into your IRONMAN. There is nothing more important in IRONMAN training than consistency. Getting in the required number of sessions each week is paramount in improving. When my athletes keep their weekly sessions consistent, we see steady improvement. Whether it's four swim, bike and run sessions per week or a certain number of hours, yards or miles, consistency is the most important part of improvement. Huge swings in the number of sessions, hours and mileage can set athletes up for injury and ultimately failure. In his bestselling book Great by Choice, Jim Collins talks about the 20-mile march. It's a term coined from the ultimate race to discover the South Pole. With dwindling food supplies and ferociously cold weather, this was a matter of life and death. The team that consistently went 20 miles every day ultimately won the race and lived to tell about it. This applies not only to athletics, but to business and academics as well. Consistent testing helps you understand how your training is going. If you've been doing fitness assessments and don't see an improvement, then you need to change your training. Why? Because what you're doing isn't working. Swim: A 1000 or 2000-meter straight swim for best effort. Most people can push pretty hard for 1000 meters, but 2000 meters is another animal. There's no place to hide a bad swim stroke over 25 to 45 minutes. Bike: Here I like to see athletes do longer testing, such as 12 miles or 30 minutes straight. Like the 1000-meter swim TT, I think it's less difficult to go hard on a 20-minute power or threshold heart rate test than it is a 30-minute (or 10 to 12 mile) effort. Run: Running hard for 30 minutes (or some equivalent mileage) is quite different. One is a straight up 30-minute run test (a 10k can be substituted here). Another test would be a solid IRONMAN 70.3 effort for an hour off of a long bike ride. The longer the test the better as it will get closer to simulating your race.